 Industrial Clutch Parts Ltd. supply a complete range of Hilliard Torque Limiting Clutches. The Friction Torque Limiter is designed to slip during a torque overload, while still transmitting the adjusted torque. Hilliard Slip Clutch Friction Torque Limiters have been manufactured to provide a reliable and efficient performance. Designed to overcome issues of torque control and overload protection in power transmission equipment. Industrial Clutch Parts Ltd. distribute Hilliard Friction Torque Limiters to be used on a variety of applications, such as conveyor belts, lamination cutter drives and robotics. Manufactured to slip during torque overload, while still transmitting the adjusted torque to protect you application from harmful power transmission. Hilliard friction torque limiter clutches have been designed with one or more friction discs mounted on an inner hub, and a single nut adjustment to easily pre-set the torque. These clutches offer similar static and dynamic coefficients of friction to provide outstanding smooth torque control. Ultimately overcoming problems of torque control and overload protection in power transmission equipment, whilst offering little maintenance and repair costs for your application.